Acknowledgment: This plug & play open-source example was built by InnovationPath. Many organizations today are evaluating the opportunity to automate Accounts Payable processes with UiPath robots. 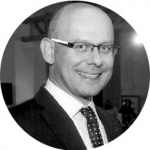 But the key part to achieve the automation benefits is to deal with the human effort associated with data capture from invoices, so that the UiPath robot can then manage the workflow and postings. Obviously, we do not want the robot to be “front-ended” by a human for invoice data capture. We are in the 21st century! An RPA<>AP automation project needs an invoice data capture process that keeps up with the robots: reliable, accurate, scalable, layout-independent, rapid to implement and easy to integrate. Traditional OCR-based systems just will not fit this bill. Rossum’s cognitive platform Elis is able to capture invoice information without any template setup, and UiPath robots bring the ease of integration to the extreme. In this example, we provide all the source codes that you will need to automate invoice processing in 15 minutes. Invoice approval workflow for non-PO invoices. In this article, we will address step 2. Why? Because that’s the most challenging subprocess from the whole list. Other steps can be automated pretty easily by using RPA like UiPath. 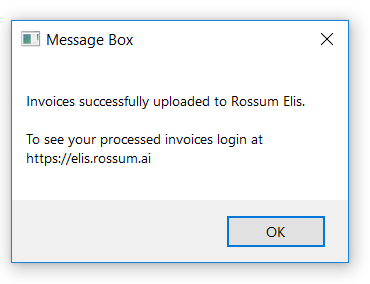 However, the dynamic nature of invoice layouts requires a different, cognitive approach that is brought by Rossum Elis. We will show you how to simply capture the data from the invoices using a UiPath script that encapsulates the Elis Rest API calls. 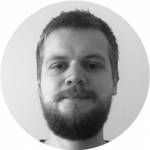 Rossum Elis: you will need credentials to a default Elis account. If you don’t have one yet, you can create an account here. 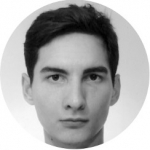 UiPath studio: if you don’t have UiPath studio installed on your computer, you can use the community version for testing purposes. Download here. Source codes: Download UiPath workflows for this demo here. Send documents from a local folder to Elis. If you have already set up your credentials file, you can start sending documents to Elis. Workflow 01_Import is prebuilt for you and it automatically sends PDFs and images that are stored in a_Input files folder. This example includes an example file but feel free to test Elis with your own invoices. Now, documents are being processed by Elis Artificial Intelligence engine. You can see them in the user interface after you login at https://elis.rossum.ai. You’ll see a list of documents that need to be verified (please note that it may take a while until Elis AI engine processes the uploaded documents). Next, you can quickly and efficiently verify the extracted data by clicking the “Start processing” button. When you verify all the extracted data you can download it by running the second UiPath workflow. In order to download the final verified data, open 02_Export workflow and run it by pressing () or F5 on your keyboard. 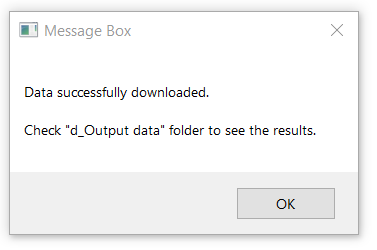 It simply downloads the extracted data and stores it in the excel file in “d_Output data” folder. Please note: This example workflow downloads and stores only the following fields: Invoice ID, Order ID, Date Issue, Total Tax, Net amount, Vendor name, Vendor VAT number, Recipient name. If you want to download different fields you need to edit the fieldsToExtract variable in 02_Export workflow. In the previous steps, we’ve implemented a very basic flow with human verification. However, it is possible to implement custom logic that allows you to skip the manual check. We provide UiPath workflow Optional_AutomatedVerification that can be inserted before human verification. It extracts data from Elis and your custom logic verifies the extracted data instead of a human (ex. PO matching, Vendor matching, etc.). How does it work? 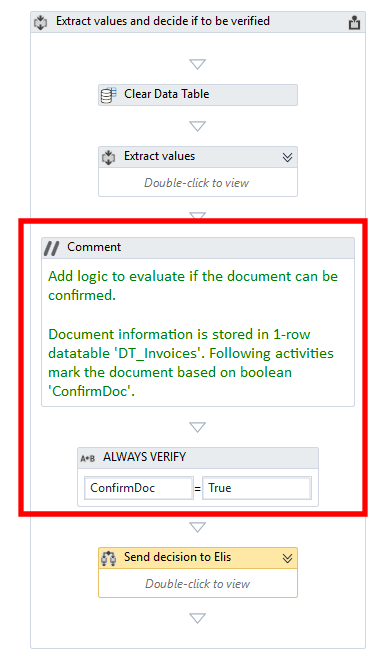 In the image below, you can see a sample UiPath sequence - it accesses the data extracted by Elis in the “Extract values” subsequence and it needs to decide whether the document can be verified automatically. You should customize this decision process by replacing subsequences in the red rectangle. If you decide that the document should skip human verification, you need to set the “ConfirmDoc” variable to True. As you can see, this toy does not include any complex code and simply automates all the documents. However, we are sure you will build more complex logic 🙂 Good luck! You can take a look through the slides and watch the recording from our Invoice Extraction with UiPath Webinar for further details.